It is a gentle and holistic way of helping your body to heal itself. It can re-energise and relax you so that your natural resources can deal with illness, discomfort or injury in the best way. The effects of healing can be beneficial on a physical, emotional, mental and spiritual level. Healing can be used with conventional medical treatments and other complementary therapies. It will not do any harm or have any harmful effects. A healer will attune with you by lightly resting his or her hands on your shoulders. The healer will work around you to help direct, align and balance your life force energies. Your experience will be unique to you. Many people experience a feeling of calmness and wellbeing. Occasionally people see colours or experience a slight tingling sensation. Healing may result in improved sleeping patterns, pain relief and a lightening of mood. Although no particular beliefs are necessary, keeping an open mind and a positive attitude towards your healing will help. Every Tuesday evening for the last 19 years a group of healers have been offering physical and emotional support to all who have found their way to the drop-in Healing Centre at the Sun House in Church Street, Chesham. With the help of Alan Wyatt, I have run the Centre together with a dedicated team of volunteers. 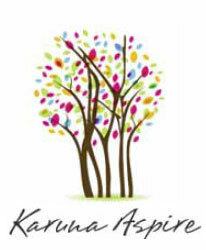 The Centre is accredited by the Healing Trust and The Healing Foundation. Opening from 6.45pm to 9pm. There are no set charges but a small donation of £3 or more is welcomed to cover expenses. For more information please contact me on 01494 782526. Healing Centre at the Sun House in Church Street, Chesham. Open every Tuesday	evening 6.45pm to 9pm. Now in its 27th year, Amersham Spiritualist Centre has an excellent reputation in the field of spiritualism. We're proud to be different! We are not so much a church as a community – our members also being our family. Everyone is given a warm welcome on Friday nights, when we meet at 7.15pm. There is lively music and, with backing from the keyboard, everyone is confident enough to sing up and create a vibrant atmosphere. Being affiliated to the Spiritualists National Union, we don't practise weird rituals. Nor do we favour any particular religion – everyone from every creed is welcome. We try to be open and honest and our visiting mediums are always interesting. Apart from uplifting songs, a typical service involves a few prayers, an inspirational reading, an address from the medium and, of course, clairvoyance, where the medium will bring evidence of survival of our loved ones. We don't tell fortunes, but we do strive to give clear proof that our loved ones are still around. Healing is an important part of our way of life and we offer healing after each service. Our healing team is fully trained and they follow a strict code of practice. Records are kept so that our patents' progress can be monitored and we comply with insurance criteria. Being a community, we enjoy sharing days out together. Each year we run many enjoyable activities, both educational and fun. We also believe in supporting people who need help and each year we donate hundreds of pounds to our two main charities. An Invitation: We hope this article has captured you attention regarding the Amersham Spiritualist Centre. You'll find a great deal more information on our website including items on Philosophy, the Seven Principles, Healing and What's On. If it's spurred you on to pay us a visit, then you may want to contact us first, or please simply find the courage to come to a service – we're sure you'll be pleasantly surprised and want to come again! Our Secretary is Elaine Bird on 01494 526573. Special evening: Tony Stockwell, international medium, will be at High Wycombe Town Hall on Monday 15th December 2014. Where is the (w)hole in healthcare? Do we search for cures or invest in prevention? Are we the Technology Generation or the De-Generation? We pride ourselves on having harnessed technology to conquer mechanical damage, most communicable diseases and infections. We have developed lifesaving surgical techniques and acute medicine, and enabled earlier detection of potential medical problems with colonoscopies, mammograms, MRI, PET and CT scans, and other sophisticated diagnostic tools. But, despite massive financial investment and rapid technological progress, and the availability of vastly complex specialised treatments, there is little evidence of better overall health outcomes. And, worryingly, overruse of antibiotics both in farming and in medicine has resulted in new antibiotic resistant superbugs against which modern medicine has no defence. We humans (and, correspondingly, our domestic pets) are increasingly suffering from physical and mental degeneration for which the technology of modern medicine has no remedy. In 2010 the World Health Organisation reported that the four most deadly non-communicable diseases – cardiovascular diseases (heart/stroke), diabetes, cancer and chronic respiratory diseases – cause over 36 million deaths worldwide (63% of all deaths), a toll which is projected to increase to 44 million by 2020. For men in the European region, deaths from these diseases are estimated to be 13 times higher than all other causes combined. Less fatal, but equally devastating, dementia, neurological conditions, mental health problems and children's behavioural disorders are all becoming more prevalent, without any medical solutions thereto even on the horizon. Ever-increasing demand and ever more expensive treatment possibilities Diabetes diagnoses in the UK have increased by one third in six years, and the number of diabetes prescriptions went up by 57% in the same period. It is estimated that obesity will double by 2030, affecting half of the UK adult population. The NHS average cost per treatment has increased from £1.3k in 2004 to £2.0k in 2011, and the total cost of the NHS increased from £57bn in 2003 to £105bn in 2013. The Chiltern Clinical Commissioning Group, which delivers NHS healthcare in this area, had an annual budget for 2013/4 of approximately £305m for a population of over 325,000 – less than £1.0k per head. The only way to reverse the upwards trend in the total cost of the NHS is to reduce the services available or to reduce demand (the latter being perhaps the more palatable solution!). How do we reduce demand? What is driving it? Can the De-Generation become the Re-Generation? According to the WHO, deaths from cancer, heart disease/stroke (80%) and Type 2 diabetes are strongly influenced by four main behavioural risk factors: tobacco use, insufficient physical activity, harmful use of alcohol, and unhealthy diet. Dementia, Alzheimer's, mental health problems such as depression, allergies, arthritis and some chronic neurological and behavioural conditions have variously been linked to lifestyle factors such as physical inactivity, lack of sleep or sunlight, deprivation of minerals and nutrients, stress, overload of pharmaceuticals, and exposure to environmental poisons such as cosmetic/food additives, industrial chemicals and agrochemicals. There is growing proof that conventional talking therapies such as Cognitive Behavioural Therapy, and the holistic practices of yoga, mindfulness and meditation, can be as effective as medication for mental health problems such as stress and depression. There is little doubt that we must put significantly more effort into researching and avoiding the causes of the degenerations which result in non communicable diseases – into preventative and restorative healthcare. Hearteningly, a priority for the CCCG is 'to improve wellbeing and lifestyle behaviours', and both local and county councils are investing significant sums in public health initiatives. We will need to identify and remove the obstacles – both real and perceived – which prevent us from improving our lifestyles and our health: lack of education, motivation, responsibility and accountability, poor prioritisation, and limited time and budget. We can recognise and accept that we may not eat and drink whatever we wish, be physically inactive and overstressed, smoke, rest too little and expect technology to save us from degeneration – because it cannot. We can review our own lifestyle, inform and educate ourselves on healthy self-care principles, plan and make simple positive lifestyle changes – and stick to them! We can teach our children by our own example to respect and care for their own physical and mental health – to ensure that they have a healthy diet, take regular physical exercise, and have sufficient rest and relaxation. Joanna Hill is the founder and director of the Bagnall Centre for Integrated Healthcare, a beautiful environment created in the Chilterns where specialised practitioners create the complete wellbeing experience. 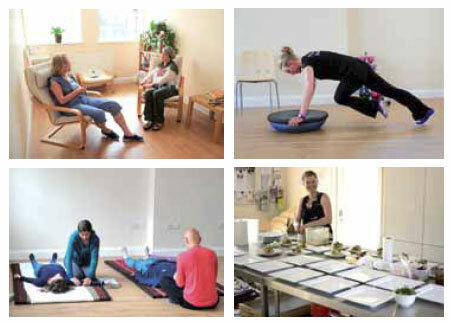 Treatments include acupuncture, counselling, massage, nutrition, osteopathy, podiatry and reflexology. Exercise classes include yoga, pilates, dance, personal training and ki-aikido. Nutrition is vital to a healthy lifestyle so there are healthy cookery classes for both adults and children. Integrated healthcare is the bringing together of both orthodox and complementary medical approaches, alongside each patient's personal commitment to a healthy lifestyle, to form one seamless healthcare system. Eve Rebooted is a digital heart-to-heart for women, focusing on uplifting and helpful solutions to life's challenges and dilemmas through articles and multimedia. 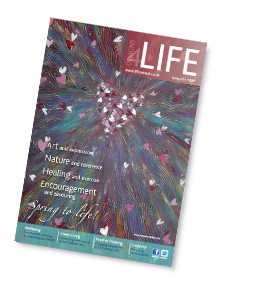 The emphasis is on emotional, spiritual and practical advice and the topics we cover include: love and relationships, body image and selfconfidence, truth and wisdom, health and wellbeing, career, beauty, family, parenting, consciousness and spirituality. The idea is that women come and share their stories and the wisdom they gained (via articles) and in the process help other women who might be going through the same thing but aren't sure how to overcome the difficulty. The website is not-for-profit and is run by women for women to pool our collective wisdom, knowledge and insights, helping others by sharing our own experiences. After my own long history of anorexia and mental health problems, I decided that I wanted some good to come out of my experiences. This prompted me to start writing personal development articles for a US based website. This then gave me the idea to self-publish on my own web platform and so Eve Rebooted was born in November 2013. My aim in setting up Eve Rebooted was to get women feeling better about themselves. This aim has been my guiding light and underpins everything I do. On the back of Eve Rebooted I have also been giving talks about how to achieve inner happiness, self love and self acceptance – things that appeared to be missing from so many lives of the women I've encountered. We welcome a male perspective that is respectful, helpful and sensitive – there's lots to be gained for everyone. What can be more natural and instinctive as rubbing a bumped head or knee better? Or providing comfort through touch? We have known about the benefits of massage for health and wellbeing for thousands of years. Evidence can be found for its use in ancient civilisations such as India, China, Japan, Greece and Rome. Massage uses pressure to affect the muscles and other soft tissues of the body. There are many different types of massage, but a treatment will usually be based on gliding and kneading strokes. It may also include other techniques such as movement and stretching, direct pressure or rhythmic percussive strokes. A therapist may apply gentle or deep pressure using hands, forearms or elbows, or feet and may work with oils or other lubricants, or through clothes. Everyday life can put significant strain on our bodies. We can suffer aches and pains whatever our profession – whether our days are spent sitting at a desk or driving a car, caring for small children or adults, or doing strenuous physical activity. Massage is an effective treatment for combating muscle tension and pain; in particular, some studies have shown that it can help to reduce long-term back and neck pain. Other benefits can include reduced anxiety and improved sleep, and some techniques can support recovery from injury and improve joint mobility. Setting specific issues aside, many people enjoy a massage simply from the sense of relaxation and comfort that it brings. A massage has a beneficial effect on all of our body systems, and we derive many physical and emotional benefits from touch alone. There are very few risks to massage, some medical conditions can make it inappropriate. If you are considering booking a massage treatment and have an ongoing medical issue, it is advisable to discuss it with your doctor first. 'Reiki' means universal life force energy in Japanese and refers to a healing system which was founded by Dr Mikao Usui in the early 20th century. The Usui system of healing is gentle, safe and non-intrusive and can be used on everybody, including children and pets. We are surrounded by energy. The objects around us are made of energy just as we are. Energy runs through pathways (meridians) in our body. Over time it can become stagnant, which may result in energy blockages and a feeling of imbalance or even disease. Reiki works on all levels, physical, emotional and also spiritual. It is safe in combination with all other therapies. It's relaxing and at the same time energising. It often brings increased clarity to our lives and can assist in letting go of old patterns that do not serve us any longer. I have observed that gentle reiki energy releases whatever has got stuck within some of my clients and opens them up to embracing change. One friend in particular was asking many questions, seeking new ways to pursue what mattered to her. 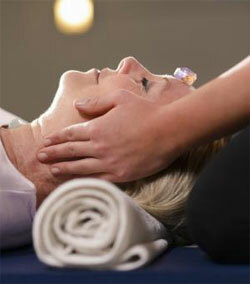 I recognized that the reiki energy had transformed something over the course of a few sessions. As this happens many people come up with questions to which they do not have an answer yet. This was the moment when I realized the benefit of combining reiki healing with life coaching. Have you considered combining reiki healing with coaching? Reiki healing opens the door to a new world, while coaching helps to define where exactly you want to go and how to get there. It is not always a smooth path, but with the compassion and love that reiki offers combined with the positive, action focused methods of coaching, you will be able to get there more quickly and safely than you may have thought possible. Life coaching does not tend to dwell on the past.. Instead it helps you to move forward and apply your learnings to achieve what it is you really want. During the day we shrink from lack of breathing, lack of time, lack of attention, lack of kindness. The grip of our muscles, grip around our breath, grip around our life stories is held by the habitual tendency of our mind to be elsewhere, to have things otherwise, to strive for what we don’t have. Immersed in the sea of constant ‘doing’ we sometimes miss just resting in the state of simple ‘being’, time in which we allow all the ‘doing’ to stop. Using the tools of restorative yoga, gentle yoga movements, breath work, yoga massage and mindfulness we are able to reverse this process, to unwind the grip of our everyday life and learn how to enter a deep yet attentive state of relaxation. By consciously coming back to this state of deep ease, we can establish a familiar feeling tone that we can return to over and over again. When we allow the body and mind to come to rest in the moment, no matter what is on our mind or how our body feels, we can tune in to the basic experience of living and simply allow ourselves to be in the moment with things exactly as they are, without trying to change anything … and then everything changes. Loudwater Farm, Rickmansworth, 6.30 – 9.30pm. Tree. Just mention Designs for LIFE. Offer expires 31/5/14. Are you your worst critic…do you give yourself a hard time? Every so often we are forced to take stock and then make changes. Some changes are easier to deal with than others, which can affect both our mental and physical health and stop us and maybe friends and family from having fun! The fact is we all have challenges in our lives… by talking these through, using relaxation and hypnotherapy and by giving ourselves time and a plan we can sort out most of what is draining our energy. We are all born with great potential to become whatever we wish to be, but as we go through life, we experience traumatic moments, some starting as early as the womb, and over time we can lose all sight of who we truly are. As a result, we settle for less than we deserve. 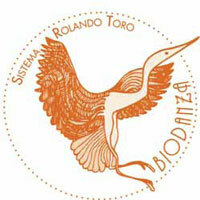 Biodanza is an amazing dance system that improves vitality and confidence. In the safety of a group and guided throughout, your body is able to express its own response to each piece of specially chosen music. As you learn to feel the music within, you begin to experience the pleasure, vitality and connection with who you truly are. From this newly awakened space, you find yourself more open and able to share with others in the group from a deeper level. Each dance is demonstrated to the group, for all to create their own individual expressions. There are no steps to learn, no age limit, no partner required and it’s for men and women. A group is very important in life, allowing us to be part of something greater than just ourselves. 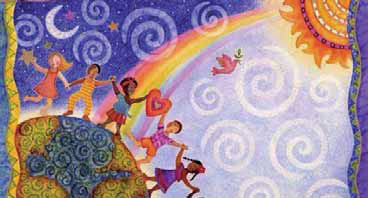 In the Biodanza group we allow others the option of connecting from the comfort zone that is totally right for them.